You might expect stress to be an unavoidable part of your work life. According to a recent study, however, employees are feeling the burden of stress both at work and at home. According to the study, This is the Most Stressful Minute of the Day, many are struggling to find good stress management strategies to relieve the pressure. Forty percent of the 2,000 Americans surveyed say that they work too much, and 60 percent believe that they do not have a great work-life balance. Respondents rated their workplace as only slightly more stressful as their home lives (6.4 at work compared to 5 at home), which shows that stress is creeping into all aspects of modern life. Excess stress is a real problem for workers. It negatively affects engagement, work quality, productivity and overall job satisfaction. In order to improve work performance, employees require good stress management strategies to improve their stress levels. The following stress management strategies help leaders and team members to reduce their stress and improve work performances. Remain mindful and in the moment. Stress tends to creep in when you’re feeling overwhelmed. One of the best stress management strategies for combating stress, is to be mindful and in the moment. Rather than focusing on all of the tasks that you need to complete, pick the most pressing task and follow it through to completion before turning to a new task. Then check off one to-do item at a time. Don’t fall into the trap of thinking that multitasking will help you to accomplish more and faster. According to the stress management program, Melting Your Stress within 30 Days, multitasking just slows you down and divides your focus. So rather than completing one task well, quickly, you spend more time on each task, and it takes you longer to get back into the swing of things once you return to each task. So save yourself some time, and stress, and focus on just one task at a time and cross it off your to-do list. You’ve probably heard it before, but taking a few minutes out of your day to focus on your breathing can quickly reduce your stress levels and body acid levels. Unless you spend a lot of time researching breathing techniques, you likely aren’t going to remember a complicated pattern or strategy for reducing stress. Therefore, it’s best to focus your attention on simple stress management strategies that can be easily initiated during stressful moments. Start by slowing down your breath and lengthening your inhalations through your nose. It can help to visualize the breath filling your whole body, down to your toes, rather than just your chest. Then, slowly exhale through your nose for feelings of peacefulness. Take these deep, long breaths five to 10 times until you feel calmer and more relaxed. In just a few short minutes with focused breathing, you can greatly reduce your stress and body acidity levels to improve your day. As more technology enters our lives, the harder it is for us to take mind-shifting breaks. But without them, stress can build to unhealthy levels. This threatens your health with a potential outcome called burnout , states Melting Your Stress within 30 Days. During office hours, many people are guilty of checking emails during their lunch breaks, or working through their lunch hour in an effort to get more done. Others may be fine with taking 10 minutes off here or there but find themselves checking the computer or answering calls on their days off. Still others can’t remember the last time they took a week off of work, either to travel or to simply stay at home and relax. To reduce stress overall, all workers need to engage in all three of these types of breaks. During the day, you should take a 10 to 15 minute break every two hours; every week, you should have one day off work that doesn’t include answering calls or checking emails; and every six months, you should take one full week away from the office. If you aren’t used to taking any breaks, this may sound like a lot, but these breaks are essential for your physical and mental health that leads to life-balance and enhanced well being. Do make these breaks a priority. Stress is definitely part of life, but in the modern world, excess stress is becoming a real problem with real consequences in all areas of life. Team members need to learn how to effectively manage their stress to not only improve work performance, but to improve work-life balances and satisfaction with life. 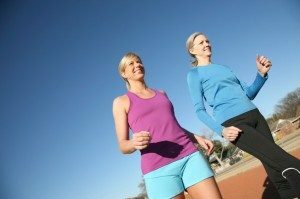 Some stress management strategies to reduce stress include: remaining mindful and in the moment, rather than trying to complete too many projects at once; taking a few minutes to focus on stress-relieving breathing techniques; and taking breaks, including daily, weekly and semiannually. With these strategies, employees can reduce their stress and improve workplace performances and satisfaction. What to deepen your stress management strategies understanding? The following resources lend value to this conversation. 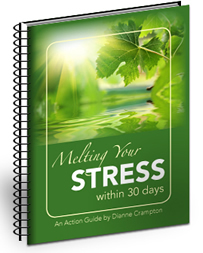 Melting Your Stress within 30 Days action guide, audio support and 24/7 training program. TIGERS® Success Series provides a comprehensive and robust system for improving both your work environment and profitability. We specialize in workplace enrichment and employee re-invigoration management facilitation methods that builds workforce cooperation and high performance team dynamics. Scaled to grow as your organization and leadership performance grows, our proprietary Team Behavior Profile and leadership training workshops are based on the six principles we have found to be the right mix to make this happen. The six principles are Trust, Interdependence, Genuineness, Empathy, Risk and Success. Born from our many years of business, psychology, and educational group dynamic research, and subsequent four years of independent evaluation, we instill and sustain behaviors that improve work group performance and talent retention for measurable ROI. Since 1987, TIGERS has served committed leaders who desire enhanced cooperation among departments, teams, managers and individual employees. This heightened level of cooperation leads to improved revenue, purpose, commitment and impact. Employees quit companies because they don’t get along with leaders and co-workers. Work culture refinement and behaviors that build strong relationships erase this trend remarkably fast. For more information call 1+541-385-7465 or visit http://www.corevalues.com .